Three drawer dresser with structure in bronze finished walnut (as shown) or stained maple wood, metal legs and details in bronze finished brass. 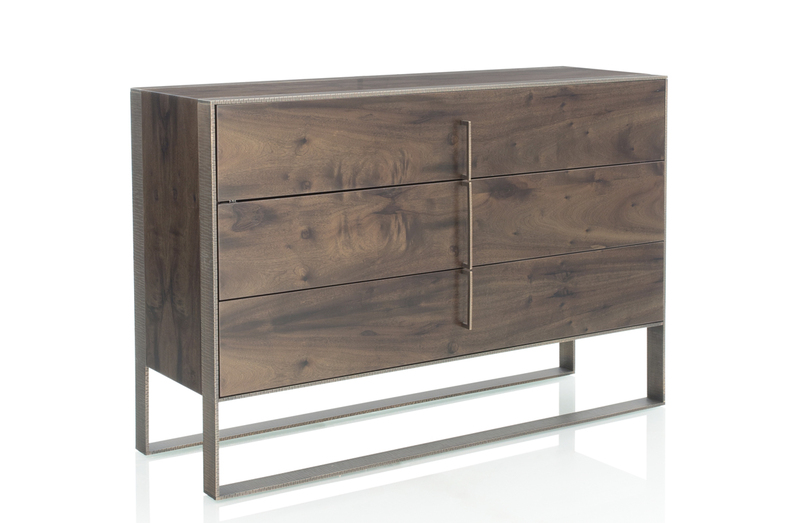 Maple available in dark walnut, mahogany, steel, taupe or black finishes. Bronze stained walnut (as shown) or stained maple.